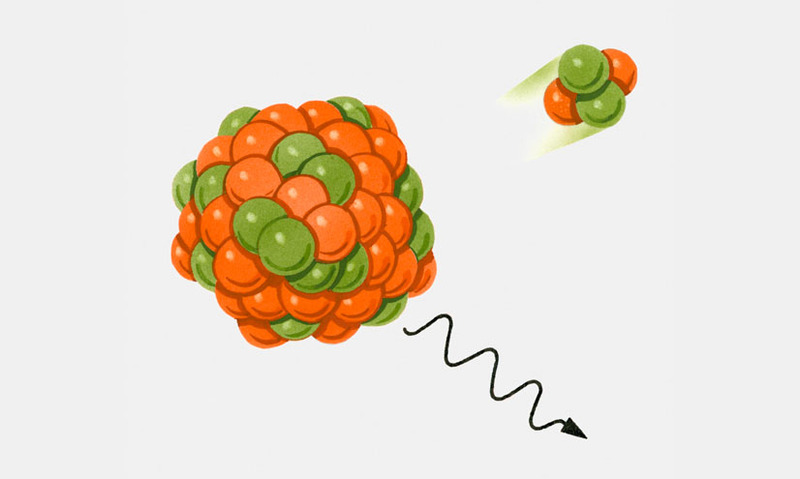 A type of particle produced in some types of radioactive decay, being one of the most widespread forms of ionizing radiation. A type of particle produced in some types of radioactive decay, being one of the most widespread forms of ionizing radiation. Alpha particles are highly destructive, but they can't easily penetrate through materials - a piece of paper is enough to absorb them. Alpha particles are highly destructive, but they can't easily penetrate through materials - a piece of paper is enough to absorb them.